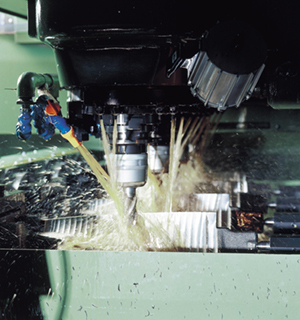 Today in a high-tech era, the needs of the time have become more complex and advanced and present various issues to machinery manufacturers who play a leading role in industry. Accordingly, products with even higher accuracy and quality are required in the machinery parts processing field as well as greater added value, such as transition from hardware to software and from 4-axis to 5-axis control. Turbine blades have also become increasingly sophisticated in material and shape as a result of pursuing generation efficiency. We actively strive to develop and improve technologies that can meet every need with a new viewpoint, looking ahead to the 21st century, based on the combination of the CAD and CAM technology and superior processing technologies we have built over the years as a comprehensive parts manufacturer.